Update: Congratulations Elis B on winning a free toner cartridge for your HP LaserJet 3050 Printer! The OEM HP Toner usually runs about $70. 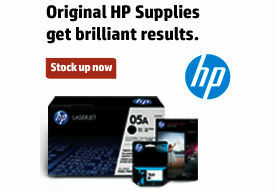 The HP-compatible Innovera Toner is only $37 at OnTimeSupplies.com! Check out the Ink and Toner Finder at On Time Supplies to see how much you can save with compatible Innovera Print Cartridges. (one) Innovera Inkjet Printer Cartridge: high quality inks and engineering ensure vibrant colors, crisp blacks and fine details each time you print. (one) Innovera Laser Toner Cartridge: enjoy easy, mess free installation, reliable performance and crisp, professional prints. Leave a comment on this post telling us your printer or copy machine make and model! You can improve your chances of winning the Innovera Print Cartridge Giveaway by entering on. The Giveaway ends next Tuesday, September 24. We’ll announce the winner here at the Office Ink Blog that Wednesday, September 25. Good luck! *Fine print: Subject to availability. 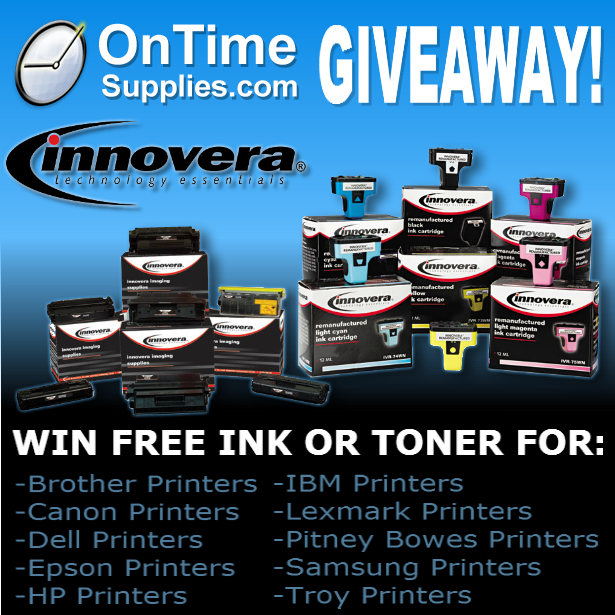 The Innovera Print Cartridge Giveaway winner will receive either (one) Innovera Inkjet Printer Cartridge or (one) Innovera Toner Cartridge with a retail value at OnTimeSupplies.com of $100 or less. Follow On Time Supplies on Twitter as @bfooduf and re-tweeted the giveaway.